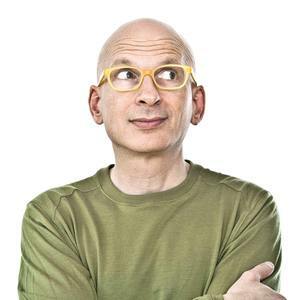 Tag Archives for " Seth Godin "
This week on the Duct Tape Marketing podcast, I welcome back Seth Godin. A marketing expert and best-selling author of 19 books, Godin stops by to discuss his latest title, This is Marketing: You Can’t Be Seen Until You Learn to See. He shares why creating empathy and human connection are not only the secrets to great marketing; they’re also the keys to doing work that you can truly be proud of—work that can change the world. Godin has inspired millions of business owners and entrepreneurs and teaches the precepts of effective marketing and leadership in his books, on his blog, and through his public speaking. In addition to his writing and speaking, he is also the founder of two companies, Squidoo and Yoyodyne (acquired by Yahoo!). What’s changed the most about marketing since you first started in the industry? 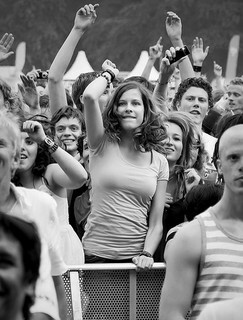 How do we develop an empathetic approach to marketing? How do you make storytelling a big part of your marketing? Why today’s smart marketers are being careful with the attention they have. How the hustle is destroying marketing. What people actually want from a brand. 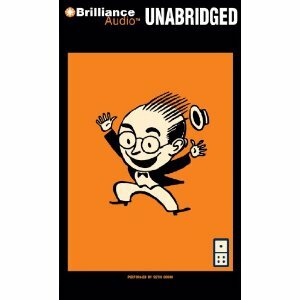 I think Linchpin might be my favorite book of the dozen or so book written by Seth Godin. Seth has been a long time supporter of Duct Tape Marketing first adding my blog to something he called Bull Marketing way back in 2004 or so. Since then he has generously written jacket quotes for each of my books and remains one of the most generous folks I know. I point this out to demonstrate how important the ideas he shares in Linchpin really are because the book is all about leadership and in many ways Godin is a great example of what leadership looks like. 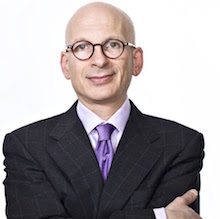 This week I revisit my conversation with Seth Godin about his book Linchpin. We discuss what it means to be indispensable to your company, and how you can be a linchpin to your business’ future success. Where do you draw inspiration for your work outside your business? 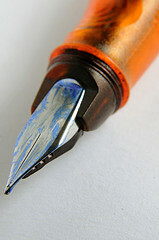 What does it mean to be a Linchpin? Today’s post focuses on making a compelling pitch and determining how to create incentives that draw the interest needed in order get your project funded. Most crowdfunding pitches offer things like early or deeply discounted product access, elevated customer status, exclusive events and branded articles like t-shirts and mugs as a way to raise interest and additional investment. There’s a real balance between being able to explain what your thing does, why they should back it and what, precisely, you want people to do in a way that leaves no doubt and creating incentives that get them excited about being a part of the launch. My belief is there are few incentives that can overcome a boring or confusing project pitch, but it’s the perfect balance of value and creativity that seems to make the difference. It’s essential that you’re able to sum up your project in as few words as possible. Imagine you’ve got about thirty seconds to get a room full of skeptics to fork over some money for something they’ve never heard of or seen before – maybe they don’t even realize the problem your product or service addresses exists. So, what would that pitch sound like? Once you create your pitch you’ve got to start thinking about the story for multiple audiences. The trick is to make your story as personal as possible, but keep it relevant for the reader. A pitch to Aunt Betty is going to be along the lines of “you know you said I’m your favorite niece, right?” but your 473 Twitter followers are going to need something else all together. Count on creating a short video that engages visitors in the possibilities, community, story, dreams and vision attached to your project. Prove that you can pull this off – people want to back underdogs, but make them want to win as much as you want to win – that’s how you get people to share with their networks – share your future as if you’ve made it. Here’s how my case study subject ZebraCard project sponsor Nick Carter explains his approach to this. Here I think creativity and relevance are so crucial. It’s not enough, in my view, to offer product that’s equivalent with a funding level. Incentive levels, and you have many, are a tremendous way to demonstrate the level of excitement, commitment and buzz you can generate. Remember, funding is only step one, this is a public display of the market viability of your company as well so don’t phone this one in. The first thing you should do is study every successful project you can on Fundable, Kickstarter and Indiegogo. What’ you’ll likely see are some patterns of value and increasingly levels of exclusivity. 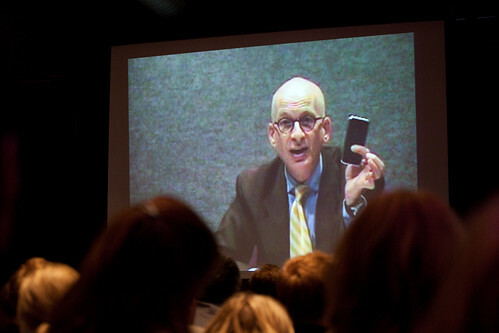 One of my favorite examples comes from, no surprise, a super marketer, Seth Godin’s Icarus Project. Go check it out thoroughly. Admittedly, Godin has built a huge tribe and his choice of a this crowdfunding mechanism is part showmanship on display, but he gets the incentive game like no one I know. The first think to note is there’s something for everyone, even those that just want to play – there’s a $4 level that still offers great value. He also creates tension by offering levels that clearly offer the most value to someone that really just wants the book. To me, he’s made it obvious where to go if your main interest is getting the information, but he’s also loaded it with the most value. Then he creates levels that allow his followers to get exclusivity and access that have little to with the product – he’s offering an experience to those in his tribe that want and can afford that. Now, not everyone has the marketing background, reputation or backlog of desirable incentives to offer, so it’s important that you also make it clear what you want someone to do and why they should choose a certain level. Here’s how ZebraCard approached it. Okay, that’s it for this week – next week we’ll take a look at how to get the word out to the various communities that you’ll tap. Got any great crowdfunding stories or advice? Please share in comments. 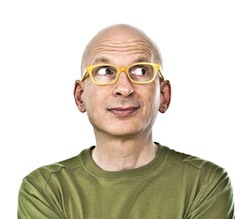 Seth Godin is author of ten books that have been bestsellers around the world. His most recent titles include The Dip and Linchpin. 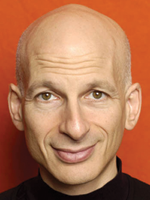 His books have been bestsellers around the world and changed the way people think about marketing, change and work.